Dr. Tabitha Johnson is featured in the Carly Cylinder’s article for the Huffington Post, entitled Best of the Best: 16 Pieces of Advice from Experts in All Areas. The article is posted below. Enjoy! 16 Insider Tips You’ll Want to Know on Your Big Day! Instead of instinctually deciding flowers and decor based on color or style, Ginny Boland of the La Jolla florist Adelaide’s says to think of a wedding as the story of your relationship that you are telling to your family and friends. Personalize your wedding with emotional aspects that reflect your relationship. What are the special interests you share? What are you passionate about? Fill these chapters with ideas that are meaningful to you both as a couple. I read this tip multiple times from jewelers and hadn’t thought of it before. Firenze Jewels says the best way to save money on an engagement ring would be to purchase the diamond separately from the ring setting. For an honest third party diamond appraisal, be sure to find a truly independent appraiser who is not connected with any diamond sellers and does not sell diamond or jewelry. Many weddings now, even if they aren’t destination, can encompass a whole weekend. So what to do with your guests? Nashette Wouters, wedding coordinator at Bucuti & Tara in Aruba, says to book a private group tour, either on a bus or adventurous jeep, so that you can all have a memorable experience together. Weddings generally feature sit-down dinners or buffets, so I loved this top from Shade Hotel in Manhattan Beach, CA: Create tapas stations and unique canapés, which may be cost conscious and fulfilling and memorable! Plus, it is so much fun to sample various foods, especially when it’s international cuisines. The older I get, the more I realize how valuable it is to tackle those sometimes uncomfortable topics we’d rather avoid, like money or raising kids. Tabitha Johnson, Ph.D., LMFT, states that premarital counseling is a MUST. 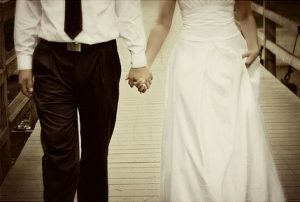 Keep in mind that the wedding is a day, but your marriage is a lifetime (or at least, most hope it will be). Make sure you put some resources towards getting ready for the marriage itself, not just on making sure your wedding day is picture perfect. There are several research-based programs that have demonstrated significant results for couples who complete a premarital program (compared to couples who don’t), including improved communication, improved conflict resolution, and greater marital satisfaction. You know I always talk about being nice to your vendors to get more, and wedding photographer Nadia D puts this spin on it. “If you make your interaction with them all about the numbers, you will become just a number to them, instead of making them feel personally invested in using their creativity to give you the best treatment. Brides pay big bucks to look gorgeous on their big day, and rightfully so! So what do make-up artists use that we wouldn’t think to put on? Celebrity hairstylist and makeup artistAmanda Shackleton says the secret is to always use a silicone-based foundation and buff it on with a round brush starting on the center of the face, then blend outwards. Silicone is naturally waterproof, so the bride can cry and get as can get as emotional as she wants! Buffing in circular motions blends out the foundation to an undetectable finish and it is super light reflective so your skin glows! “I add a dab of Make Up Forevers Aqua seal to my shadow before applying on my brides. It intensifies the pigment of the eyeshadow and converts it into a completely water resistant shadow. I always seal eyeliner on both top and bottom with a finish of Aqua seal and a tiny brush. Lips as well!